We have more than a decade of experience in website management and development, communications, public and government relations, and social media. 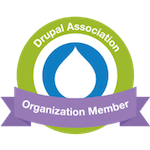 We have worked with Drupal 6, Drupal 7, and Drupal 8.In addition we are actively involved in the Drupal open source community, allowing us to draw on the experience of talented web developers around the world for complex applications. We're easy to work with, small enough that you will get personal attention, and we're scalable. When you choose DSquaredB Consulting, you get the benefit of one-on-one communication with the the scalable resource of a world-wide development community. Danita Bowman, our founder, brings more than a decade of experience in communications, website management and development, public and government relations, and social media to DSquared-B. Her career path took her from volunteer work with non-profit and political organizations to the halls of the Virginia capitol in Richmond and back to Williamsburg as the Director of Communications for a large and active church. Effective communication was the common thread throughout her career. Danita founded DSquared-B to assist small business owners and organization leaders with effective communication through the Internet and social media, allowing them to concentrate on what they do best - running their business or organization. Danita is an active member of the Drupal open source community as an organizer of the Hampton Roads Drupal User Group and active member of the Richmond Drupal User Group, regional groups that meet to share topics of interest with other Drupal developers. DSquaredB Consulting has built, updated, or managed websites for these current and recent clients. Learn more about Our Work.